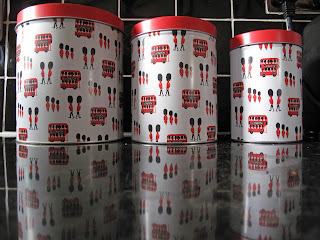 I don't know if it's the Jubilee or the Olympics or a bit of both, but there are loads of lovely things with gorgeous bold London prints on them at the moment. Think Routemaster buses, guards wearing bearskins, black cabs, and red telephone boxes. 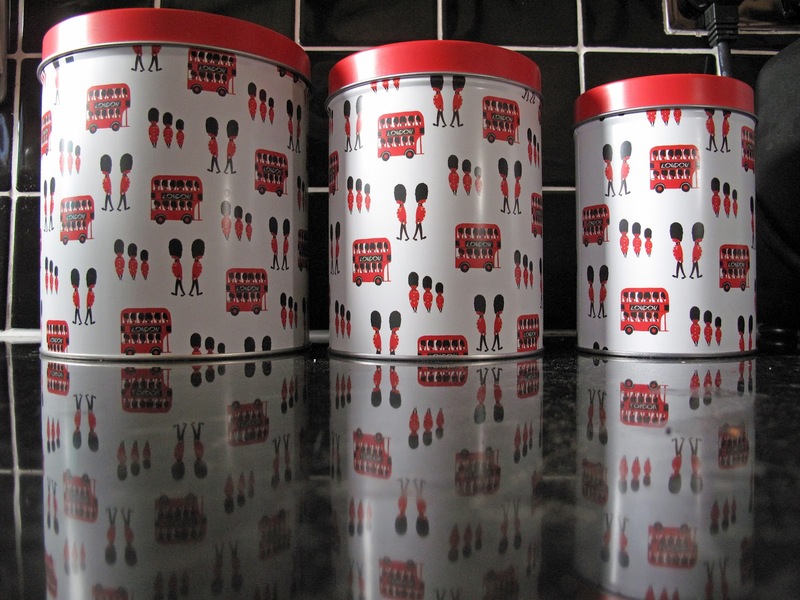 I bought the storage tins (top picture) from Tesco (baking tins and mugs also in the range) and have, so far, managed to restrain myself from buying anything else.